We know how important pets are in a family, well they are family! So why would you leave them behind. Norfolk is an exceptionally dog friendly County with many of the beaches and pubs extremely welcoming. Some beaches do have restrictions on them from May to September but even so this is normally just a small section of beach, you would still have miles and miles of sand to walk and run on. Our cottages at Crabpot Cottages are all within a few minutes of the beaches and have either enclosed gardens or courtyards. We also provide extras for our Doggies guests such as poo bags, (very important!) water and food bowls, a tag to attach to your lead incase your dog goes on walkabout and a spare lead in case you lose your own. The White Horse at Overstrand does a mean home made burger and any major sporting events are televised here, so no need to miss the match! Lovely enclosed gardens with children play area. The Red Lion in Cromer has arguably the best views! Overlooking the promenade and famous Pier you can enjoy a pint and a good meal whilst soaking up the views. The Vernon Arms at Southrepps is a fabulous find. Traditional cask ales and very friendly staff. A great Sunday roast, but you do need to book. Dog Friendly Beaches with no restrictions include Weybourne, a steep shingle banked beach famous for its role in the second world war as a radar outpost. You can still see evidence of the gun placements. 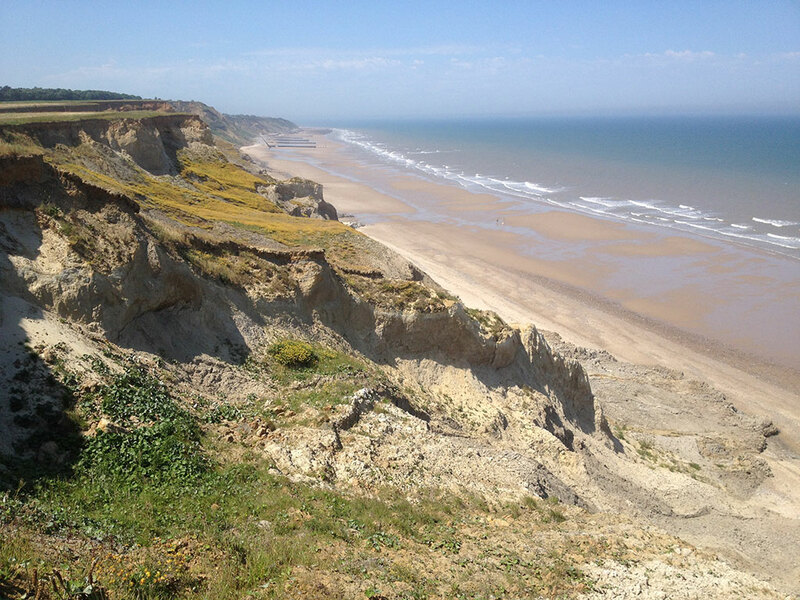 Overstrand Beach has a small section of restrictions in place from May to September as does Cromer and Sheringham, but there is still miles and miles of sand to let loose on! You can walk without restrictions on Bacton, Sea Palling, Winterton, East Runton and Happisburgh beaches with endless sands. North Norfolk Railway at Sheringham, take your furry friend along for the ride! Felbrigg Hall grounds and parkland. Wonderful at any time of the year. Ever changing landscapes. Hillside Shire Horse Sanctuary, West Runton. This is a must for all horse lovers. See these magnificent horses up close and personal. Dogs welcome on leads.